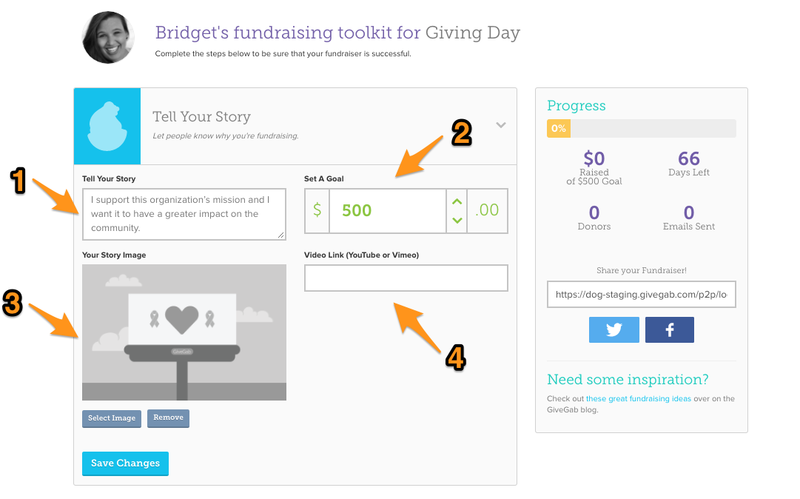 How do I edit and view my peer-to-peer fundraiser's profile for my Giving Day? From the “Overview” Tab of your Admin Dashboard on www.givegab.com, click on the “Edit Profile” button from the Giving Day your organization is currently participating in, and that your peer-to-peer fundraisers are fundraising for. From the "Add Fundraisers" Tab of your "Giving Day Dashboard" click the Pencil Icon under the "Actions" Column next to the fundraiser's name to edit their profile. 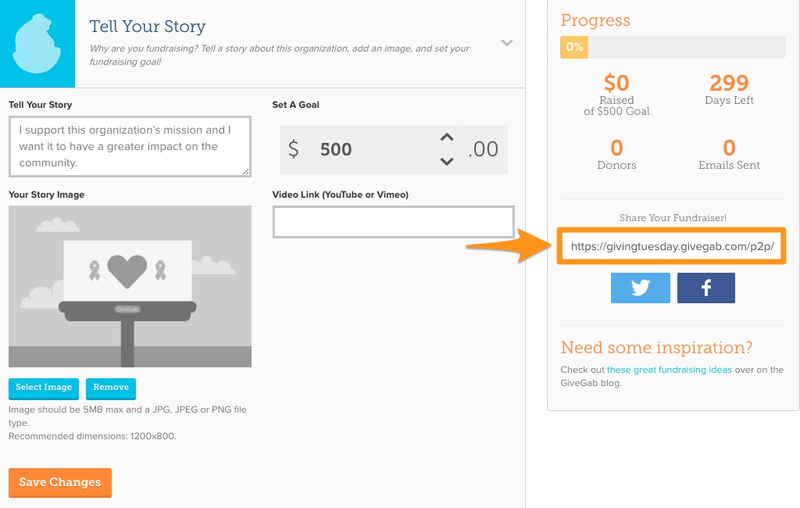 Your Story Image: Here you can add a photo of your fundraiser volunteering, attending an event, or anything else that speaks to your Giving Day's mission!